4 Rings per set. Ideal for any occasion. Two-tone natural wood napkin holders that adapt for casual or upscale dining. 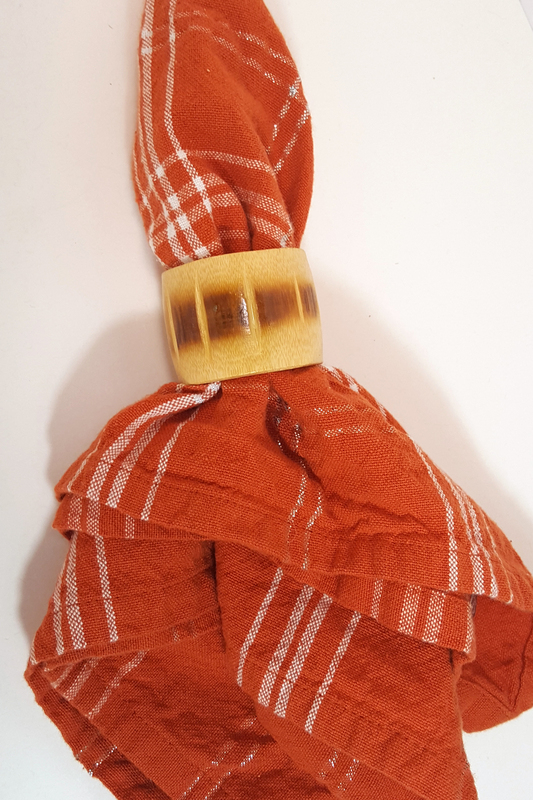 From backyard pool parties to large family dinners, these wood napkin rings are the perfect way to complete your dinning room or dinner party decor. 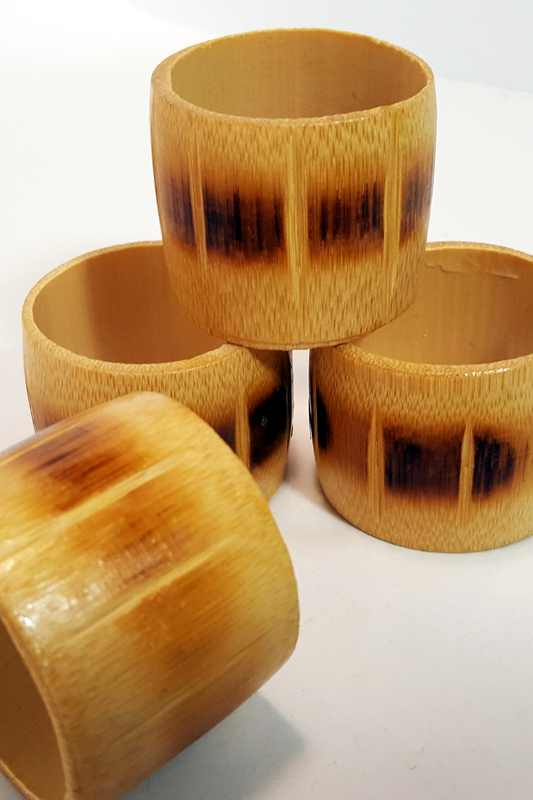 The thick rings have a bold look, and the two-tone bamboo material can take on a rustic or elegant look depending on the surrounding decor. 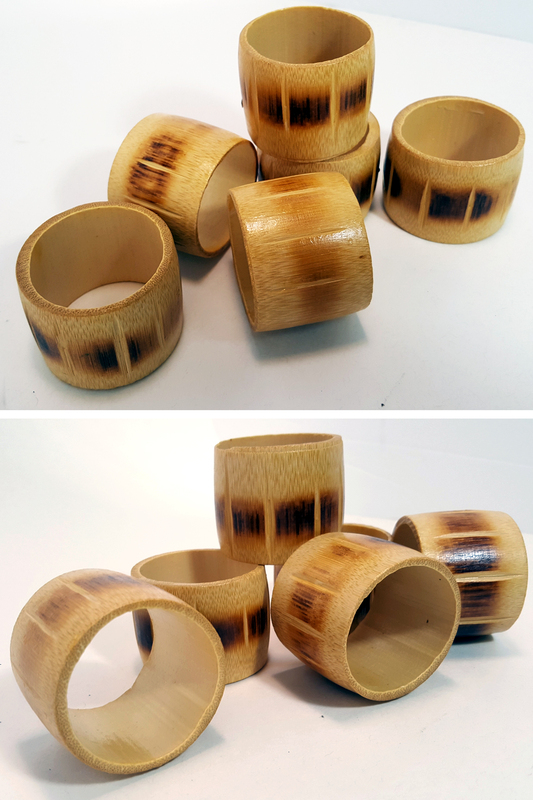 Natural materials create slight variations in thickness and shape, and the simple finish will look slightly different on each ring. 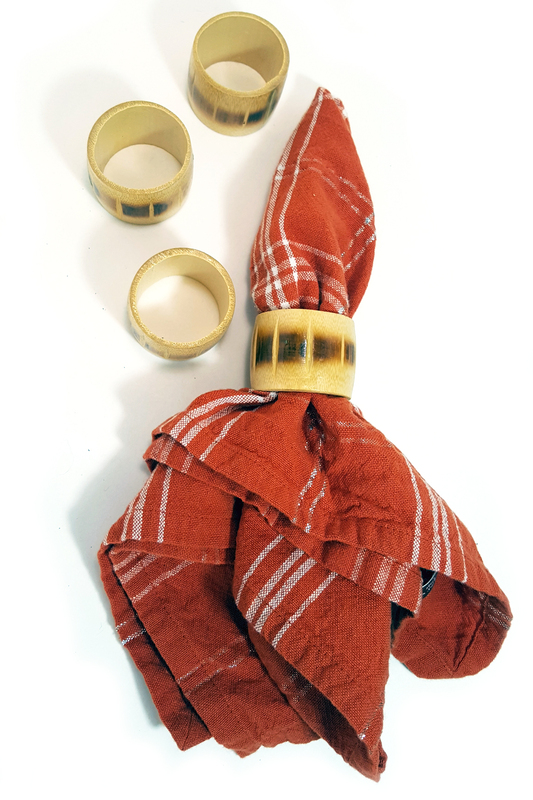 Simply roll napkins neatly before inserting into the holders, and the wide wood bands will improve the look of your place setting by holding napkins in the perfect shape. Most colors and styles will work well with the simple, mid-tone wood finish, so use with confidence to improve any dining room table or party decor. 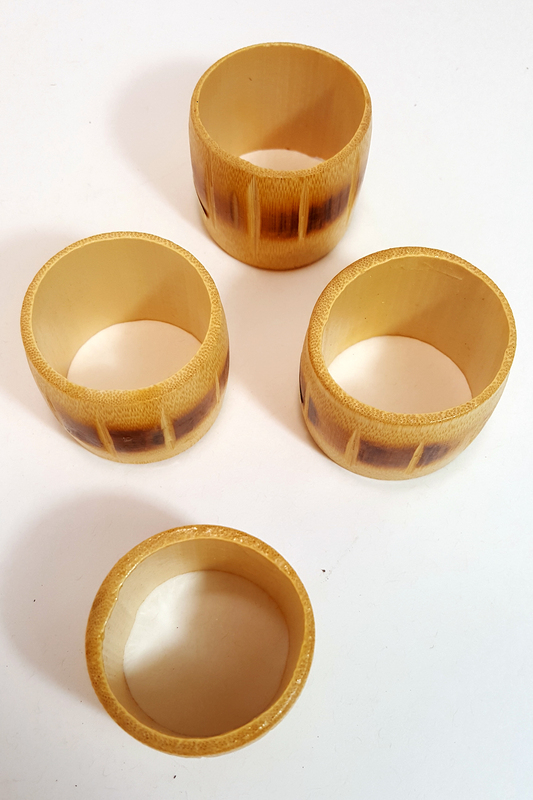 4 Piece napkin ring set. Order more than one set and pay a lower price. Each set includes 4 rings. Thick width with larger opening. Dimensions (l x w x h) 1.8" x 1.8" x 1.5"
Deep color and simple design allows these to compliment a wide range of styles. Order Yours Today!